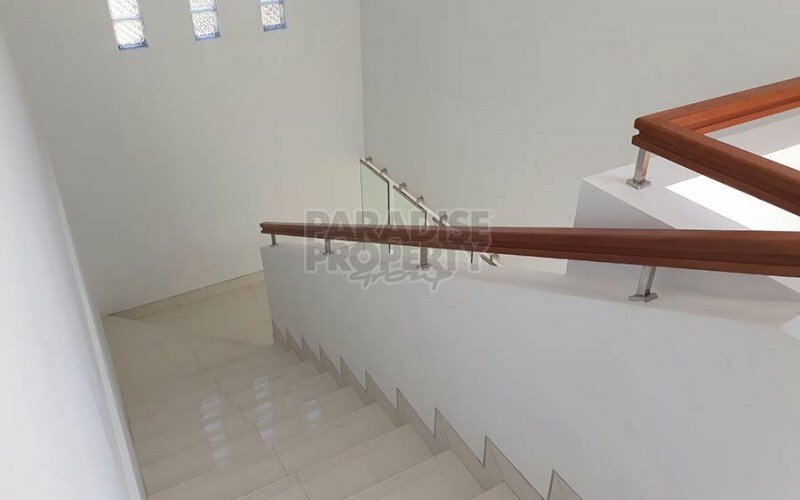 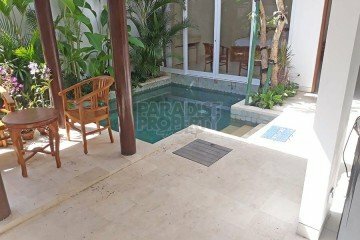 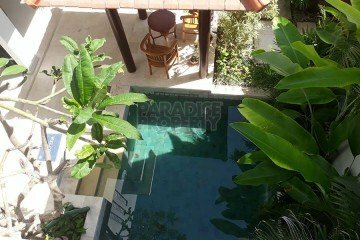 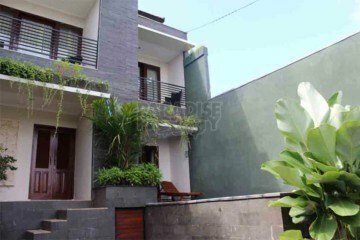 This brand new villa complex of 4 x 3 bedroom villas all with private access, is located just off Jl. Pratama in a quiet residential area of Tanjung Benoa Nusa Dua. 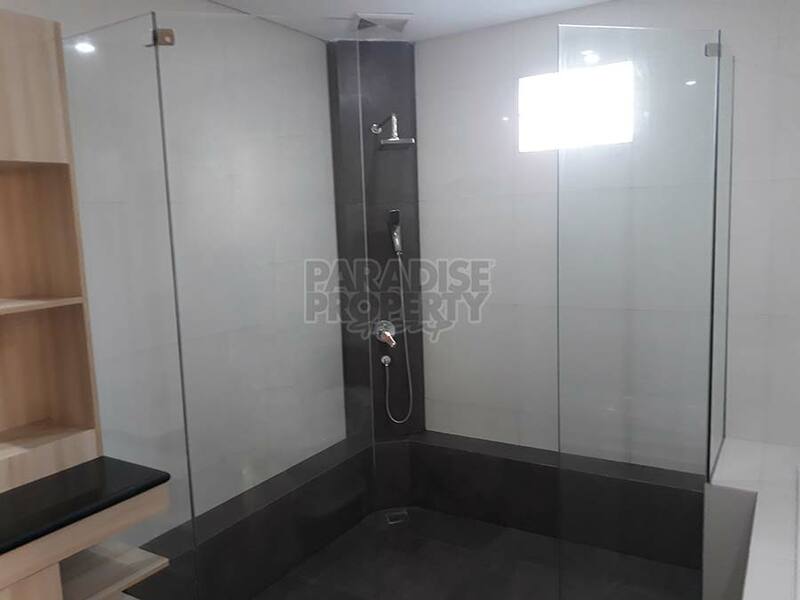 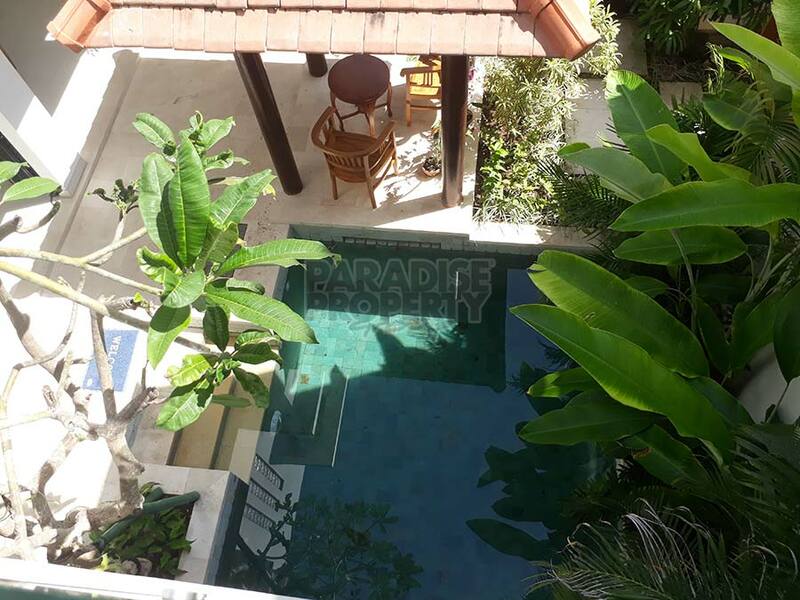 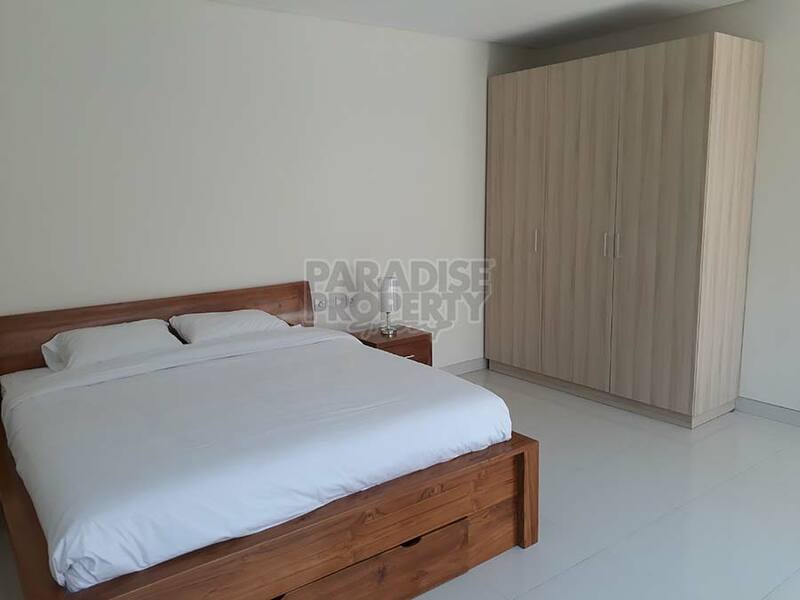 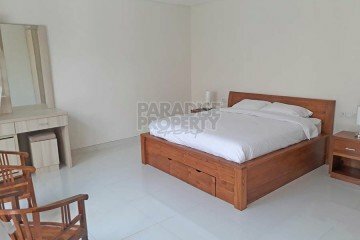 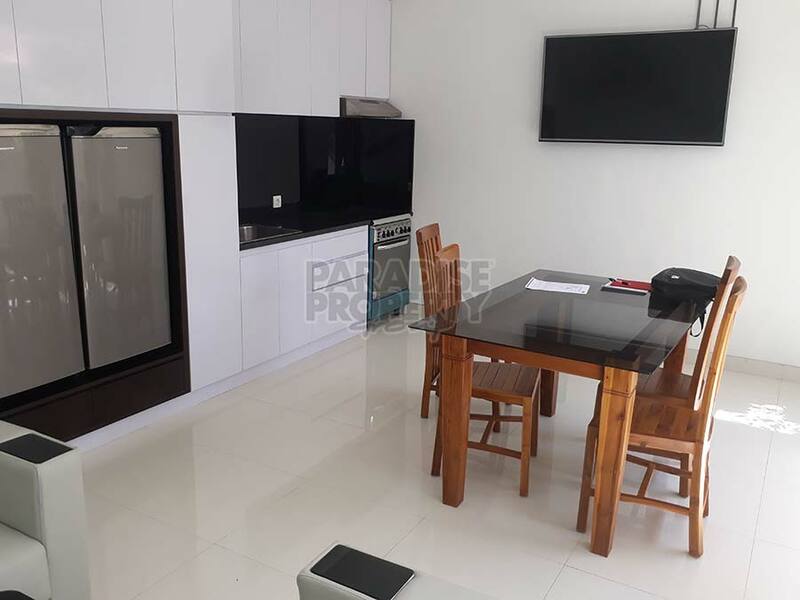 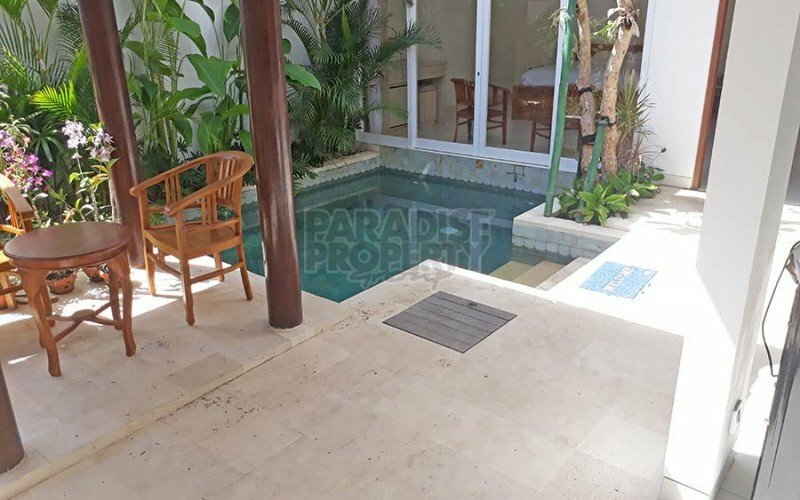 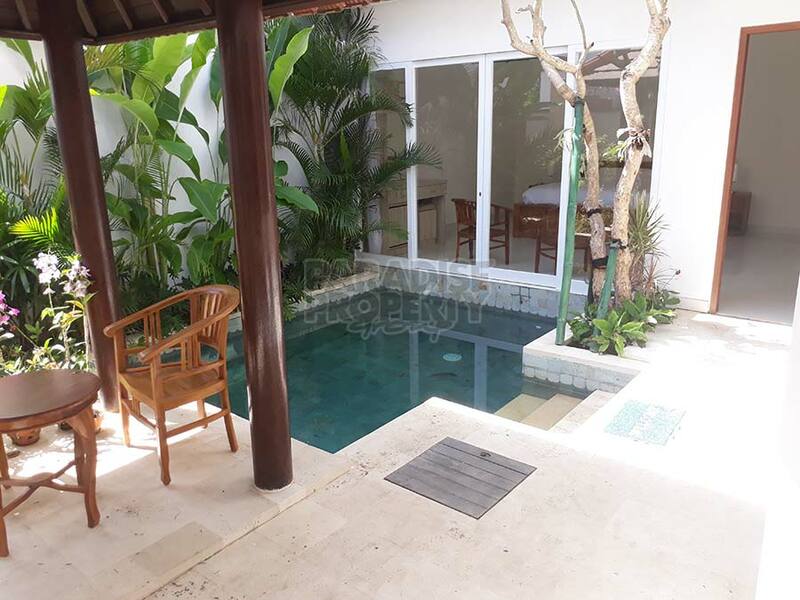 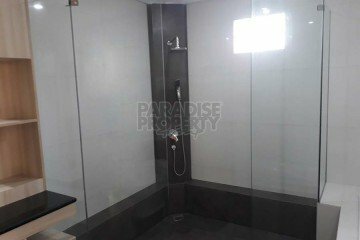 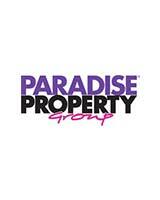 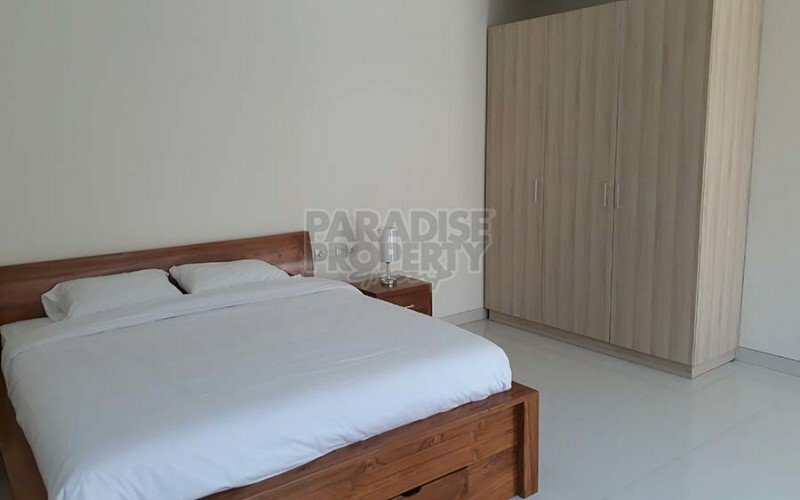 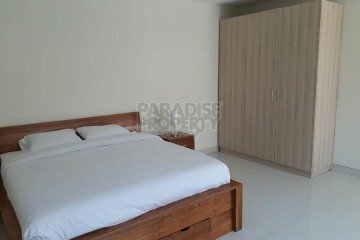 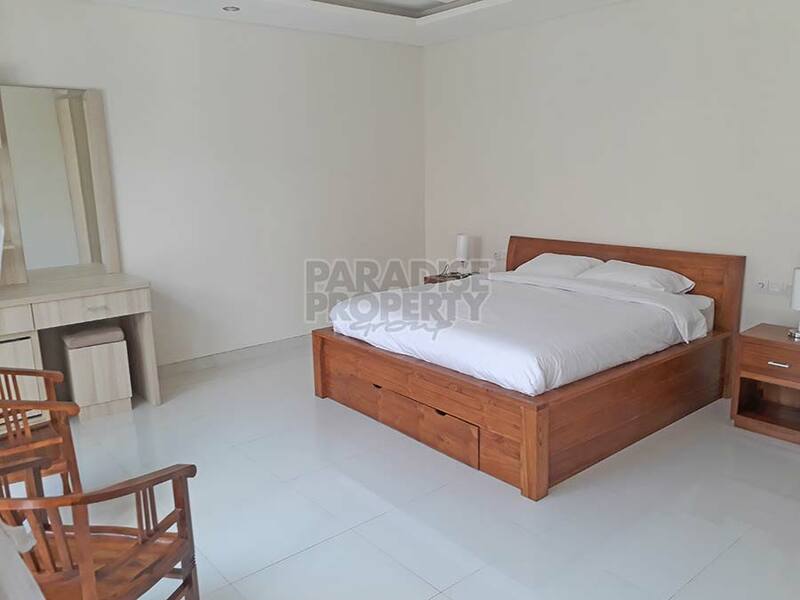 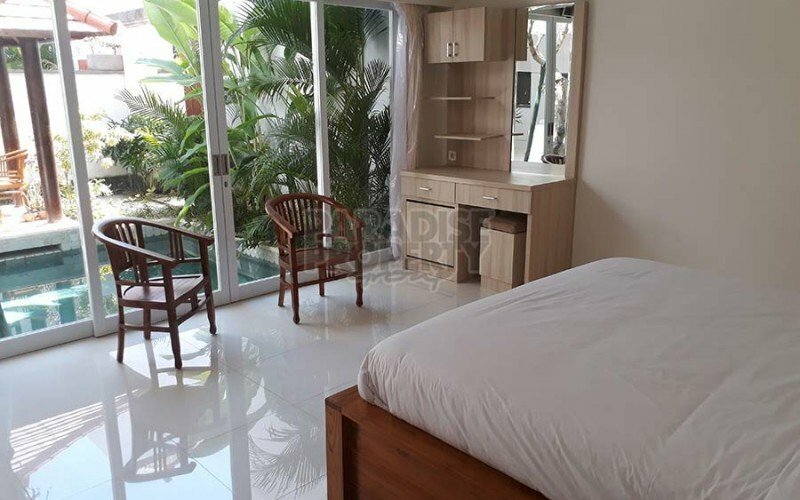 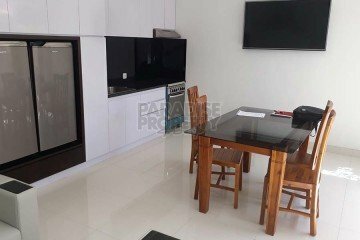 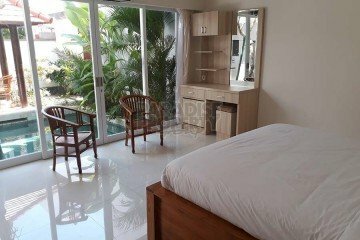 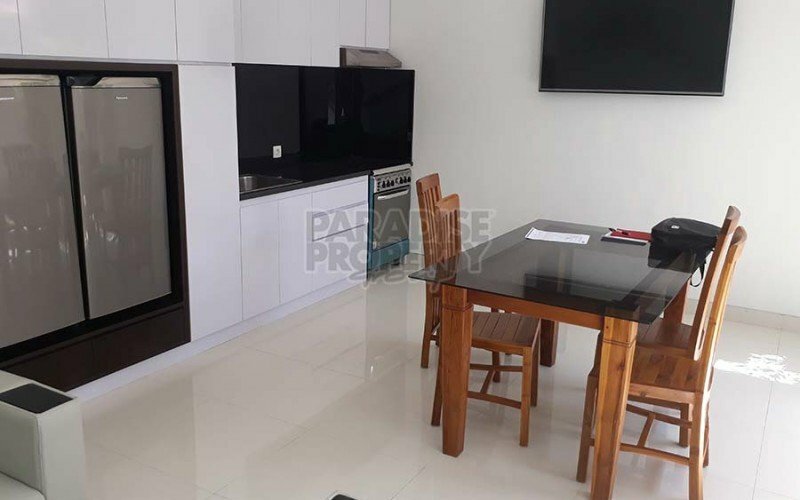 Close to all amenities such as Pepito supermarket, high quality restaurants, schools, retail outlets, mini marts and Bali collection shopping precinct, with its many shopping outlets and international restaurants. Entry to each villa is through the covered parking area to a private doorway, which leads to the manicured garden and pool area. 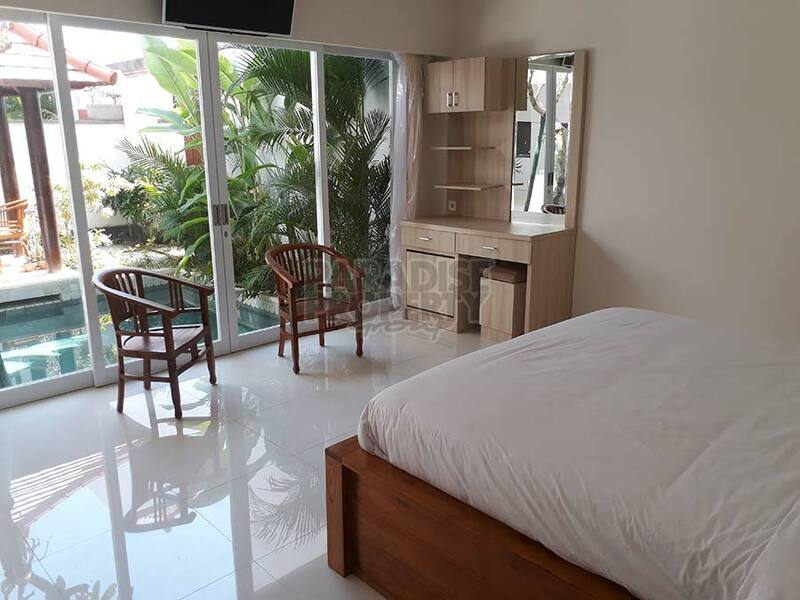 The main building has a nice open lounge/living area and a well appointed kitchen with a gas stove including gas oven, microwave, plenty of cupboard space and a two door refrigerator freezer with drinks fridge. 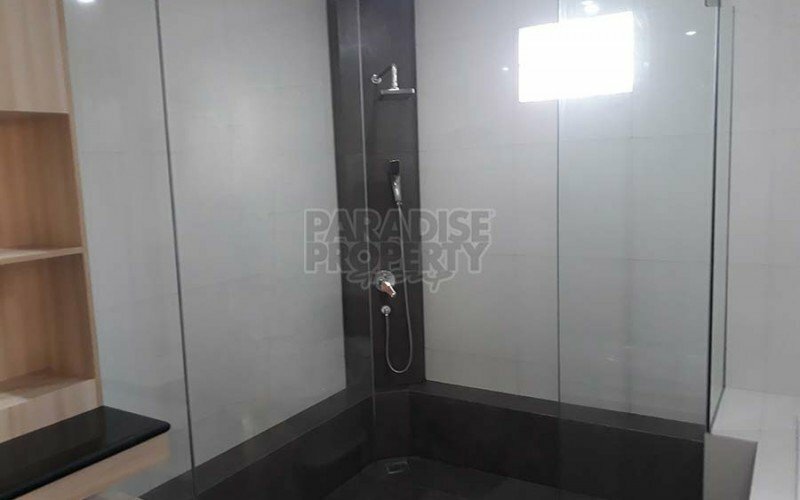 The ground floor also has one bedroom with en-suite bathroom and a storage space under the stairway. 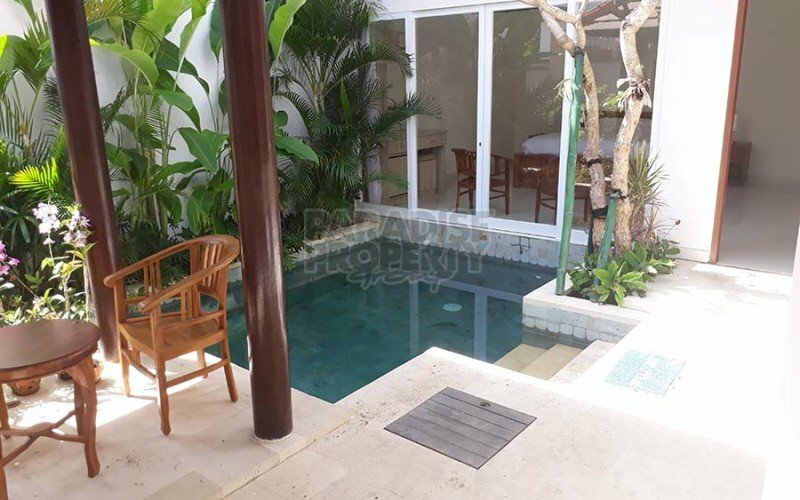 The upper floor consists of the master bedroom with en-suite bathroom and glass doors, which open onto the terrace overlooking the garden and pool area. 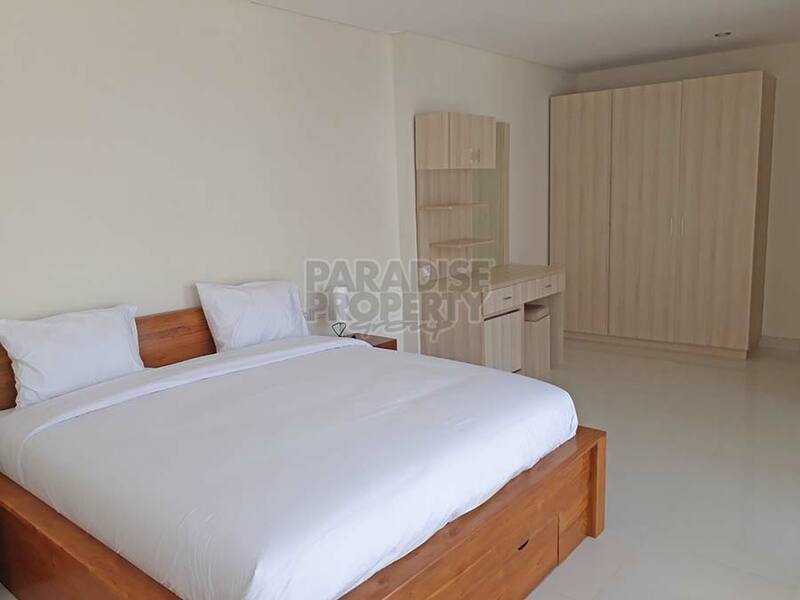 The third bedroom also has an en-suite bathroom and twin beds. 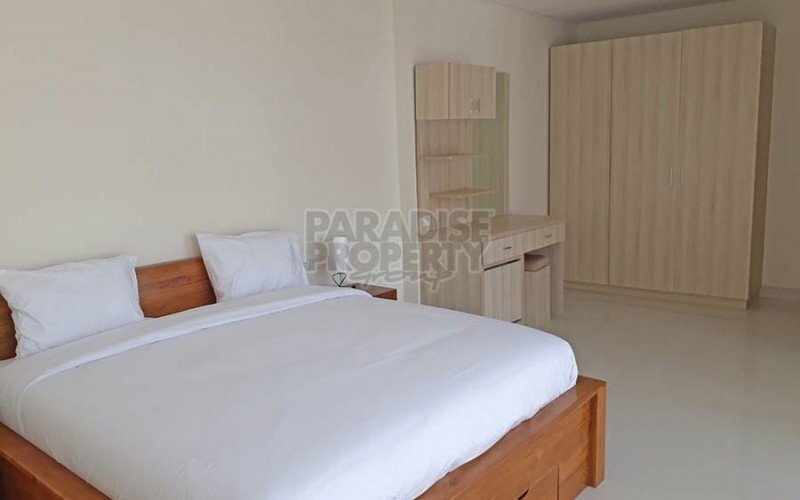 All bedrooms have built in wardrobes, bedside tables and a mini fridge.